The bad boy redneck biker with a heart of gold has to kill his zombie brother (Season 3, Episode 15). It’s not the saddest moment on The Walking Dead. It’s not totally unexpected either. And it’s not necessarily a surprise to see Daryl’s exterior break. We’ve known it was a layer created by survival (zombie and abusive family survival) rather than a thing invulnerable. Not a thickness grown from the inside out, but not armor either. Like he’s wearing a layer of something that should feel like skin. A once-skin made stronger, a tough hide of self. But as the reanimated corpse brother approaches—stumbles the way zombies in movies stumble except when they don’t—the camera follows behind the zombie. We only see Daryl facing his brother from over the shoulder of the zombie. And he’s shrinking, but not from fear. It’s not the loss of a spine or courage. Instead, he’s shrinking from defeat. Whatever passages were inflated in his body to hold movement, to push his energy around, to make the next move count have collapsed. He doesn’t dwindle out of the shot as much as in himself. Closes the spaces of himself. The world of things possible closes with him. He’s just blood and water and nerves, after all. He’s just flesh and bits and a brain that whispers him stories. He’s not ready to fight. He doesn’t stand any ground. But he can’t let himself be attacked, so he pushes his brother away with little to no strength. Like trying to push away a ball that continues to roll back towards you. It will always roll towards him because he has always been at the mercy of gravity, of both slope and momentum. This time, the thing of inevitable descent is thoughtless and hungry for meat. It gnashes at him. He continues pushing and a sound escapes him. It’s part of a sob as he has been sobbing. But also it is a weak sound. The weakest sound. Like there is no such thing as a real cry anymore. No such thing as a scream. It’s a flimsy whimper, hollowed out. Unmanly, if we had to say that. But totally, utterly, sadly, undeniably human, this sound. I’m almost embarrassed to hear it myself. The monster only falls away a little to the left before centering towards him again; Its weight as lethal as its bite. I have nothing in common with Daryl Dixon. A ridiculous junior-high love of the trope of him, I admit. But the character’s backstory would not complete the holes in mine. The trajectory of the character is not my journey either. If there is a metaphorical zombie in my life, it is not housed in one person nor must I survive a slew of them (some with really soft skulls apparently). But more than empathy for a character, I recognize something in this scene. It feels familiar. It feels like my heart: to push with an always fading effort at the thing coming, which is too heavy a thing to ever avoid. It’s not a surprise to never find the strength to fight back. It’s not a surprise to experience only defeat. Mine is always there and that thing always coming. The creature-thing buried that comes back undead. When I watch this scene, we (Daryl, the weak heart, me, the unrelenting monster) are everything I know to be true. Natanya Ann Pulley is a writer in Vermillion, South Dakota. She writes fiction and creative non-fiction and fancies collage. Her work can be found in The Collagist, The Toast, Western Humanities Review, The Florida Review: Native Issue, Drunken Boat, AS/US journal for indigenous women, and McSweeney’s Open Letters (among others). Natanya has a phd in Creative Writing from the University of Utah. 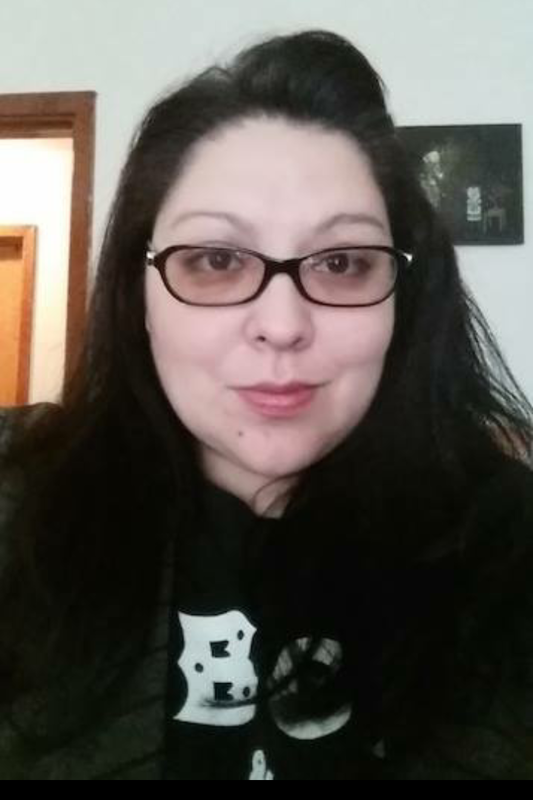 She is an Assistant Professor at the University of South Dakota where she teaches Creative Writing, Native American Literature, and Narrative Theory. She is the Fiction Editor of South Dakota Review. Your strength shines in this ‘scene as life’. Thank you. We push forward, through sticky brains, silence, and the knowledge of our own personal monster. Love this piece.